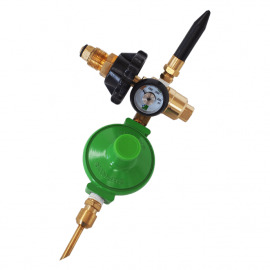 Whether your needs are very basic or very specific, we offer a helium regulator for any situation and balloon. We have latex balloon inflators, foil balloon inflators, and hybrids that fill both! 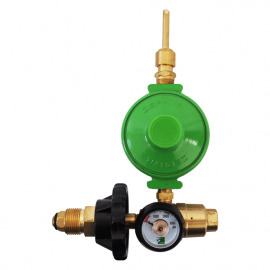 Helium Regulators There are 7 products. The Foil Only Inflator is designed to inflate foil balloons. 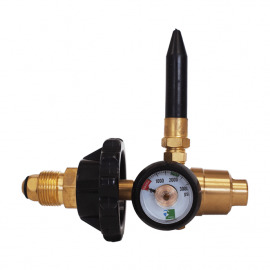 It includes a gauge, auto shut off with anti-burst feature, push valve and hand tight connection. 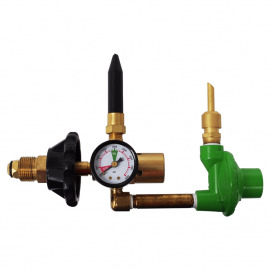 The Dual Foil/Latex Balloon Inflator has a gauge, tilt valve for latex balloons and a compact auto shut-off foil balloon attachment. 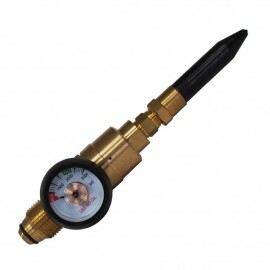 The Vertical Latex Balloon Inflator has a gauge and easy hand tight connection. 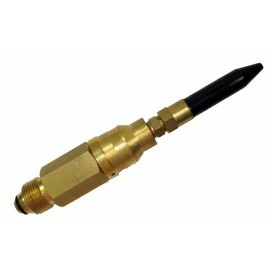 The Economy Inflator is a standard one piece tilt valve inflator for latex balloons with integral cylinder connection threads. 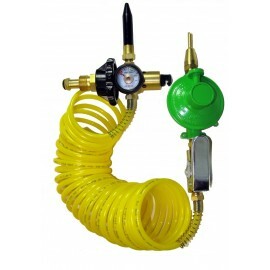 The Dual Foil/Latex Balloon Inflator with 12 ft. Extension Hose has a gauge, hand tight connection and a 12 ft. hose on the latex tip side.